PARK LIMITED MUZIK returns after a brief hiatus with “Deep In”, a hot-as-hell collaboration between label boss DJ 19 and JULIO LARGENTE from Argentina. Julio has already appeared on 19BOX RECORDINGS as a remixer. THE LOONEY TUNES moniker was born out of some sort of fluke accident. A plan was hatched to make a lounge/chillout project together. Instead, several club tracks were made that didn’t fit the original concept and it was decided that the club tracks would be released first. 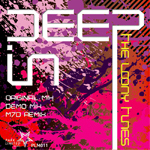 “Deep In” is the debut single for THE LOONY TUNES. It has a spacey ORIGINAL MIX that’s fantastic for opening up DJ sets or a MIX CD. The DEMO MIX is a laid back house tune well-suited toward the dance floor! The remix has been delivered by Turkish DJ and producer, MURAT UNCUOGLU. Murat needs very little introduction. He is one of the few pioneers of Turkish club scene and released many excellent tracks on prestigious labels like VAPOUR, METHOD, POD RECORDINGS and many others. More recently, he has formed a dance music project called M7D with ORHUN 7DCK. Orhun has been working as a pop music producer, so he’s a relatively new name to dance music fans. This duo was created when both producers started scoring TV episodes and movies together, so their working together on a club-friendly project was only natural! PARK LIMITED MUZIK returns after a brief hiatus with “Deep In”, a hot-as-hell collaboration between label boss DJ 19 and JULIO LARGENTE from Argentina. It has a spacey ORIGINAL MIX that’s fantastic for opening up DJ sets or a MIX CD. The DEMO MIX is a laid back house tune well-suited toward the dance floor! The remix has been delivered by Turkish DJ and producer, MURAT UNCU(MURAT UNCUOGLU) who is one of the few pioneers of Turkish club scene and released many excellent tracks on prestigious labels like VAPOUR, METHOD, POD RECORDINGS and many others. He has formed a dance music project called M7D with ORHUN 7DCK.